Anthony J. Scotti was Founder, Chairman and Chief Executive Officer of All American Communications, Inc., “AACI” a National Market company, a highly regarded and successful independent global media company. While Scotti’s accomplishments have been formidable, his untamed entrepreneurial spirit coupled with his understanding of entertainment as a global business positioned the company as a significant competitor in the exploding worldwide media marketplace of the future. For his vision, Mr. Scotti was honored by the Hollywood Entertainment Chapter of the City of Hope as “THE MAN OF THE YEAR” in the ENTERTAINMENT INDUSTRY and received the Spirit of Life Award. All American Communications, Inc., through its wholly owned subsidiaries Fremantle International, Inc., All American Television, Inc., All American Television Production, Inc., All American Goodson Productions and All American Orbis, became one of the WORLD’S LARGEST PRODUCERS of television programming under Scotti’s leadership. FORTUNE MAGAZINE’S 1996 list of AMERICA’S FASTEST GROWING COMPANIES ranked ALL AMERICAN 24TH WITH A 72 PERCENT GROWTH RATE. The company had more than 100 series in production in 27 countries. All American’s crown jewel, “BAYWATCH”, was the most popular show on Earth, which is still seen by over one billion viewers in 110 countries. All American operated offices in eight countries – England, Germany, Portugal, Greece, Spain, India, China (Hong Kong) and Turkey. Fremantle International produced and distributed eighty percent of all game shows in Europe and expanded into Asia and Latin America. Mr. Scotti, the former football star attended the University of Maryland at CollegePark, Maryland, after which he moved to New York City where he started his Entertainment Industry career as an actor – singer. Scotti began producing artists for Liberty Records, and he soon was named Senior Vice President of MGM Records. During his tenure at MGM, artists such as Donny and Marie Osmond, Sammy Davis, Jr., Tony Bennett, Hank Williams, Jr., Eric Burdon, Lou Rawls, Petula Clark and many others were successful. With nearly ten years behind him as a performer and an executive, Scotti began to refine and nurture his vision of the entertainment industry and its future as a global business. When I was at MGM, I became very interested in developing the potential of the foreign markets. It was apparent to me that our entertainment product at the time was one of America’s best exports. Looking at the world, as I saw the future, I perceived it would soon be one market. It would be nearly 20 years before the entertainment industry shared Scotti’s vision, but he set in motion in 1974 a series of business decisions that would ultimately result in his company being positioned as a world leader in entertainment software production and distribution. That year, with his brother and partner Ben Scotti, he founded Ben Scotti Promotion, which eventually grew into a diversified media company, Scotti Brothers Entertainment. Initially, the company was involved in the development of musical groups and artists including some of the highest echelon performers of the time. Ben Scotti Promotion represented artists such as Barbra Streisand, Olivia Newton John, Bob Dylan, Foreigner, The Four Seasons, ABBA, Bette Midler, Sylvie Vartan, John Denver, The Osmond Brothers, Dolly Parton, Placido Domingo, The Jefferson Airplane among many others. In addition, Mr. Scotti also produced a number of acts, including The Bellamy Brothers, Survivor, Petula Clark, James Brown and Randy Bachman. He also successfully produced records for JAPANESE TEEN IDOLS in English that promoted their careers in Japan. Ben Scotti Promotion is regarded as the innovator of the entertainment industry’s first fully integrated strategic promotion and marketing concept, which to this day, remains a model for entertainment marketing worldwide. I’m proud to say that we built the biggest marketing and promotion company in America. Perhaps my best memory is the global campaign we conducted on behalf of the Warner Bros. motion picture “A Star is Born” and the film’s soundtrack. The album spent 51 weeks on the Billboard charts and sold over 13 million copies. In 1978, the Scotti Brothers formed another division, Scotti Brothers Management Company, and eventually managed the careers of such artists as Roseanne Barr, Gloria Estefan, Tammy Wynette, Albert Brooks, Donna Summer and Eddie Rabbitt. In 1979, Scotti Brothers Television was formed in a partnership with Syd Vinnedge. This new relationship resulted in the launch of the highly successful syndicated series “AMERICA’S TOP TEN” with Casey Kasem, among other shows. The program, which ran for 13 years, was the first television countdown program to utilize video performances of artists, a precursor to MTV. In 1981, through a joint venture with CBS, Scotti Brothers Entertainment formed Scotti Brothers Records. The label was responsible for the multi-million-dollar selling “Rocky” soundtrack which included “Eye of the Tiger” performed by Survivor, the world’s best selling record in 1982-’83, as well as recordings by James Brown, America’s greatest rhythm and blues singer. In 1982, Scotti Brothers launched All American Television Distribution and created the AMERICAN VIDEO AWARDS, the first video awards show to honor the new media of music and video which was also a precursor to the MTV Awards. Scotti Brothers Pictures Production and Distribution was formed in 1986, which successfully produced and distributed independent motion pictures. 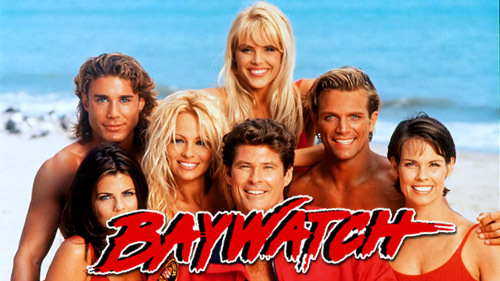 In 1991, Mr. Scotti formed All American Communications, Inc., a NASDAQ National Market Public Company and launched the television series “BAYWATCH” which for more than thirteen years was one of the highest rated weekly action hours in television syndication and was recognized as the MOST POPULAR SHOW ON EARTH with more than 1 Billion viewers in 110 countries. 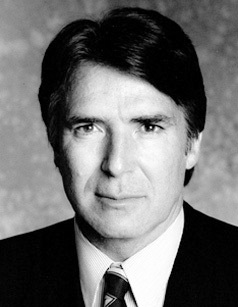 With the Company firmly established as a major producer and distributor of dramatic series programming for domestic syndication and worldwide markets, Scotti took a significant step toward growing All American’s worldwide business with the acquisition of Mark Goodson Productions, formerly Goodson Todman, the most successful game show company in the world. With this acquisition, All American now owned the world’s best game show library, “THE PRICE IS RIGHT”, as well as “Family Feud”, “Match Game” and many others. The company then launched FREMANTLE INTERNATIONAL as its foreign production and distribution subsidiary. All American Communications faced the future of the entertainment business from a position of strength. The company produced the most successful television program on Earth and a major share of worldwide programming, sold records numbering in the multi-millions, remained the world leader in entertainment promotion, and originated the concept of music videos for television. I can’t predict the future, but I can say that based on what we accomplished in television and music throughout the world, All American Communications will be a major player in the next century, said Scotti. On November 4, 1997, Mr. Scotti sold All American Communications to Pearson PLC for $545 million. Pearson PLC is the British conglomerate whose businesses include The Financial Times and The Economist. The original All American company has now become the privately owned television division of the RTL Group of Bertelsmann AG and operates under the name Fremantle Media. Shortly after the sale of All American Communications, Inc., Mr. Scotti created GLOBAL MEDIA MANAGEMENT GROUP, a private company that acquires and manages media properties throughout the World. Included in Global Media is the relaunch of Scotti Brothers Records in a partnership with SONY MUSIC and a long-term agreement with WARNER BROS. music publishing arm, WARNER CHAPPELL. In addition, Mr. Scotti has been writing, producing and directing live music concerts and television specials for exhibition throughout Europe, South America and Japan. Recently Mr. Scotti has once again teamed up with his brother, Ben Scotti, to relaunch a worldwide television and motion picture production company, Global Media Management Film Group, and has also entered into a new partnership with a successful Chinese production company. With the addition of Donna Smith and Alex Rose, two producers, whose credits are among the most impressive in Hollywood, the company is now well equipped to deliver high quality Hollywood standard motion pictures for China and worldwide distribution. Mr. Scotti, known by his friends as Tony, has two children and is married to French superstar, Sylvie Vartan. Mr. and Mrs. Scotti reside in Beverly Hills, California and Paris, France.